Inexpensive nickel plated trophies in traditional trophy cup design on bakelite plinths, offered with optional nickel plated plinthbands and low, fixed-cost text engraving. 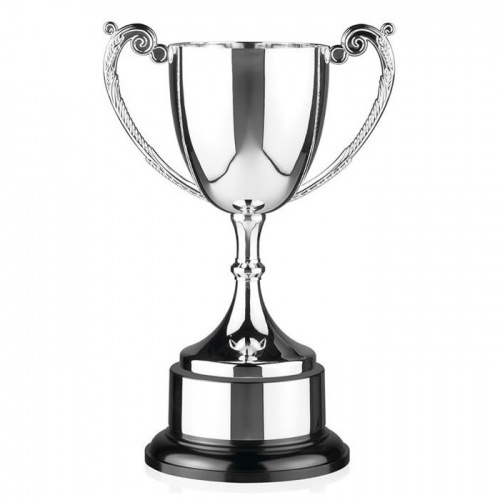 Can be engraved on the trophy body and/or the optional nickel plated plinthband. 7in tall.